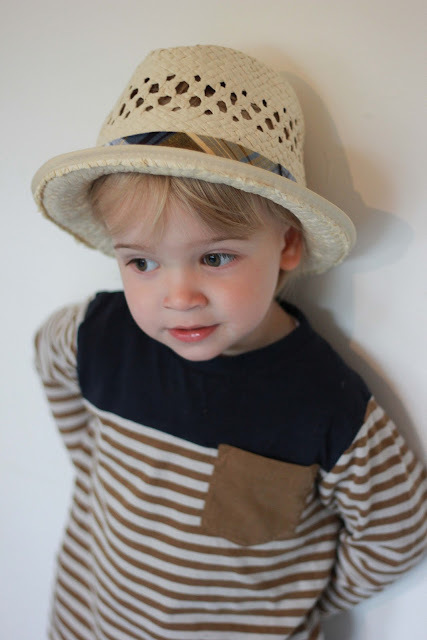 Just a quick little post, had to share this cute little straw hat we pick up for Mr A at Sainsburys. 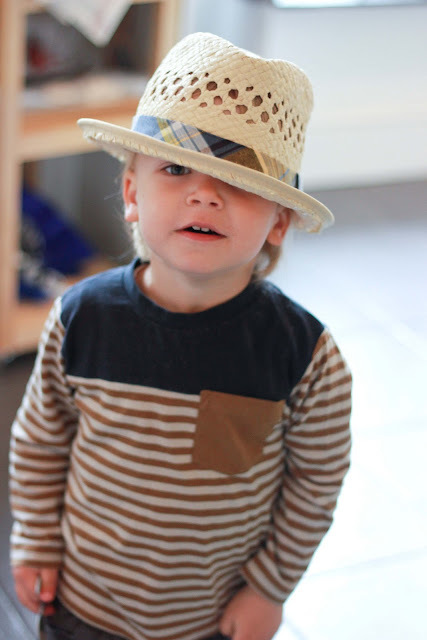 It's really hard getting hats for him as he has to pick them and be happy otherwise he won't wear it and as soon as he saw this he wanted it and I love straw hats on little ones. Hmmmm, how can we end that post title? Boys in straw hats are freakin' adorable? Love this look; it suits him! What a cutie and quite stylish! By the way, thanks for stoppin' by my blog and leaving a comment on my intermittent exotropia post! Appreciate the kind and encouraging words ;o) Hope you have a great weekend! Adorable! Trying to get Elis to wear a hat anywhere involves me having to wear the aforementioned hat first. I don't know whether this is to provide him with a laugh - or to show him what it actually is.